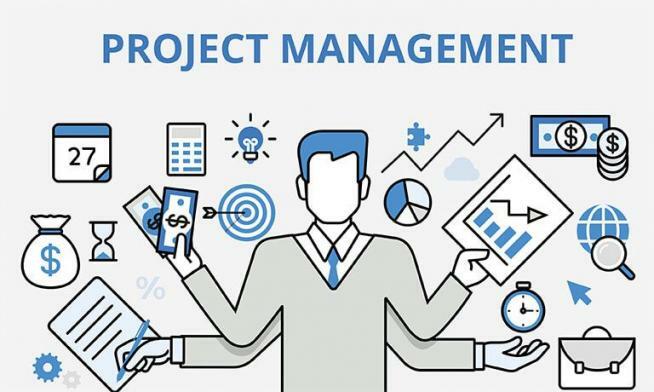 Project management plays a vital role in proper planning and executing a project and to successfully accomplish a goal within a given time frame. In India, the project management jobs in project-oriented industries is expected to reach 21.7 million in 2027, according to Project Management Institute [PMI]. We should create and monitor project methodology standards, provide advice and create an environment to support our project managers. As per a recent analysis by PMI, project managers contribute to a nation’s productivity, which supports GDP that in turn contributes to the standard of living. It is estimated that the GDP at risk due to the project management talent shortage is US $23.4 billion in India. Project Governance – There must be a common governance structure and framework at the beginning of each project, outlining day-to-day operations with short term and long-term goals clearly laid out, and certain parties must be tasked with the responsibility of ensuring completion of the said goals. This includes pre-determined points at which the progress is evaluated and decisions about next steps are made. These decisions should be duly recorded and thoroughly communicated down the chain of command, if they are to be effective. Advice project managers on risk management – The risk control phase includes risk management plan which supports to address a risk, based on suitable cost-effective control strategies. Here, the focus is to proactively minimize the risks before it occurs or to reactively recover it from the loss and restore the normal process state. Apart from being advised, the project managers also need to evaluate risks and find out ways to mitigate it. They also must identify potential risks in a timely manner. a. Operational Excellence Metrics – It is at the core of every project and must be tracked and reported on for every iteration. b. Business Value Metrics – These are used to determine the business value of a project like Return on Investment that indicates the bottom line of the return on any investment; Earned Business Value which is used to track the value of the requirements being delivered; Net Present Value which is used in capital budgeting and investment planning, to analyze the profitability of projected investment and Internal Rate of Return which is used to evaluate the attractiveness of a project. c. Human capital – This represents the skills, knowledge, and values of the development teams and their readiness to do their jobs. Project templates – Project template provides patterns to project deliverables, serving to increase understanding, save time and improve the quality of project outcomes. Project templates need to serve as per customer preferences as different audience have different needs. It acts as a repository for the work products created during project life cycle. Providing your project team with options for what deliverables they use and how they use them provides a fit-to-purpose approach to project deliverables that will improve your project team efficiency. Best practices to be implemented post project go-live – Post implementation reviews should assess how successful the system is in terms of functionality, performance, and cost versus benefits, as well as assess the effectiveness of the overall project life-cycle and areas of further development. Project managers can gain through historical views of similar projects which will show comparative efforts, cost and resource usage, that in turn provides a wealth of information to guide future projects. Vineet Kumar is the Lead Consultant BI & Analytics, 3i Infotech. You can find more about him here.